Maritzburg United return to ABSA Premiership action on 15 Spetember when they host Bidvest Wits. United have had over a month to prepare for the Clever Boys since their last outing, a goalless draw against Kaizer Chiefs. 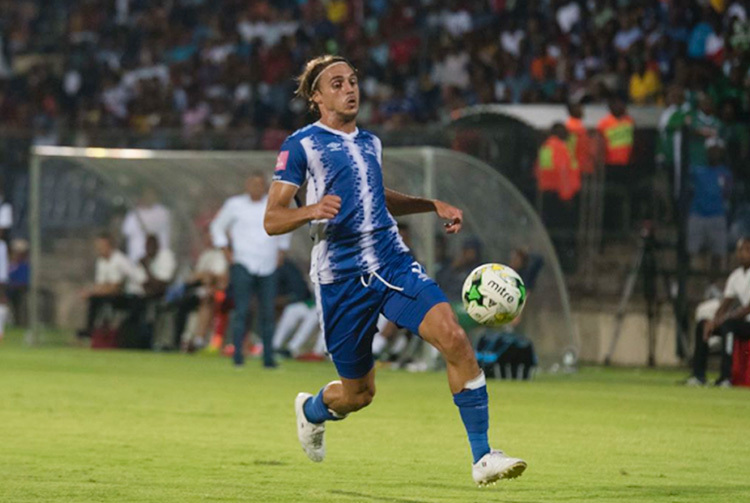 Striker, Andrea Fileccia who missed the opening three games of the camaign after he picked up an ankle strain during the pre-season returned to the team for the clash against the Amakhosi. He played 53 minutes before he was withdrawn by coach, Fadlu Davids. The Belgian has used the last few weeks to improve his fitness and is ready to help the club string together a set of positive results. “Yes, since the game against Kaizer Chiefs I feel really good. I'm looking forward to the game against Bidvest Wits and I think the process is going well,” Fileccia said. He scored nine goals in all competitions last season and says he wants to improve on that tally in the current campaign. He will have additional help up front this season with United recently signing striker, Yannick Zakri from Mamelodi Sundowns. “So far, coach has played us together in training and the skills that we have are very complimentary,” Fileccia explained. “He is very skillful, can score goals and dribble. For me it's almost the same thing. I can also play as a second striker or as a number 10. We speak French so that helps and compliments our relationship on the field,” Fileccia concluded.